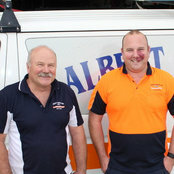 Albert Corn and Son Pty Ltd are a family owned and run business, operating in Geelong for over 70 years. We provide Residential, Commercial and Industrial services to the Geelong and surrounding area. We pride ourselves on our commitment to quality and safety. We build strong relationships with our customers and enjoy seeing them happy with the work we have completed. Professional Information:We are members of the National Electrical and Communications Association (NECA).